Educational activities involved students from local schools, citizens, and tourists, with the goal of raising awareness on biodiversity issues, including through the fight against alien species, a threat about which the local population knows little. 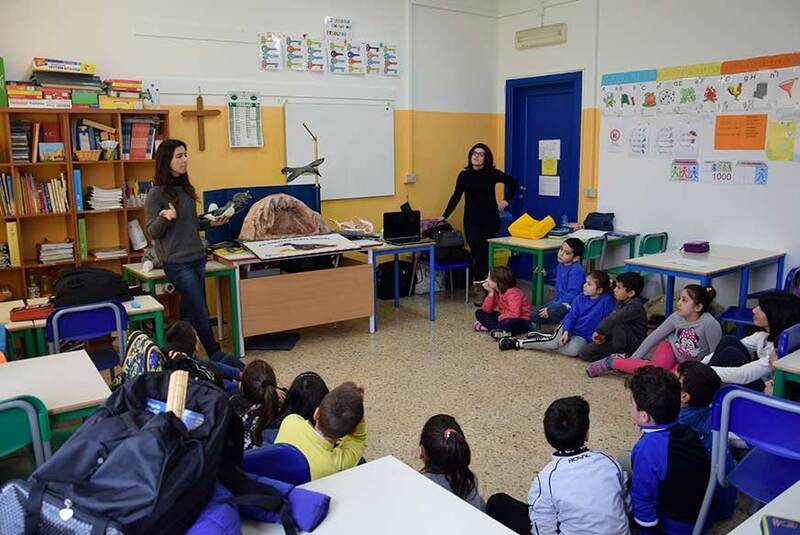 By describing the activities of the LIFE Puffinus Tavolara project, including through games for elementary school children and the involvement of high school students and adults in Carpobrotus spp. 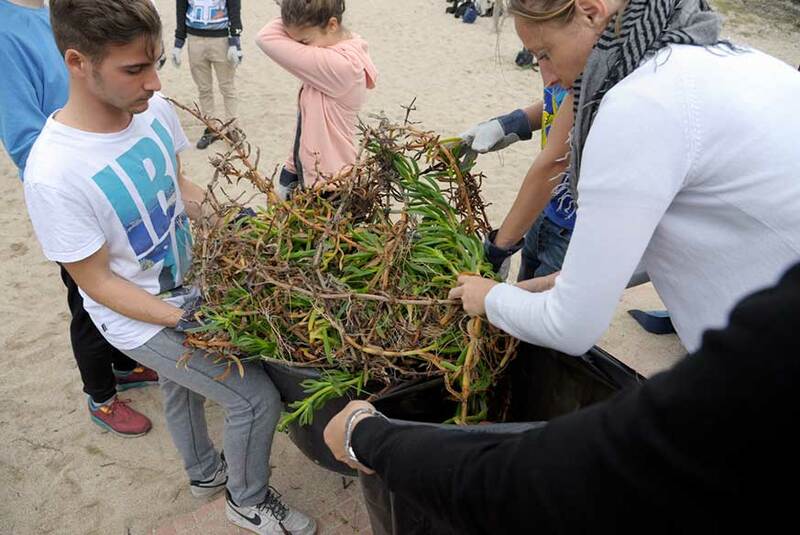 removal activities, the project promoted an improved awareness of the need to actively protect natural habitats from alien invasive species. Better awareness facilitates the acceptance of eradication and/or population containment activities and the spread of best practices in the everyday management of domestic animals and exotic plants. In order to be able to evaluate the results of the educational activities, and especially any changes in the attitudes of the local community towards the conservation of Yelkouan Shearwaters and nature in general, the problems related to alien species, and the need to adopt changes in behaviour to prevent the risk of such species from arriving and spreading, interviews were conducted with participants and control groups using questionnaires. Broadly speaking, the interviews showed that the students involved in the project’s educational activities developed improved attitudes towards environmental issues compared to the project’s initial phase, and especially compared to the control groups that did not participate in educational activities. An additional positive element lies in the fact that the activities undertaken were very well received by the participants, with a high likelihood of repeating the activities themselves in the future. 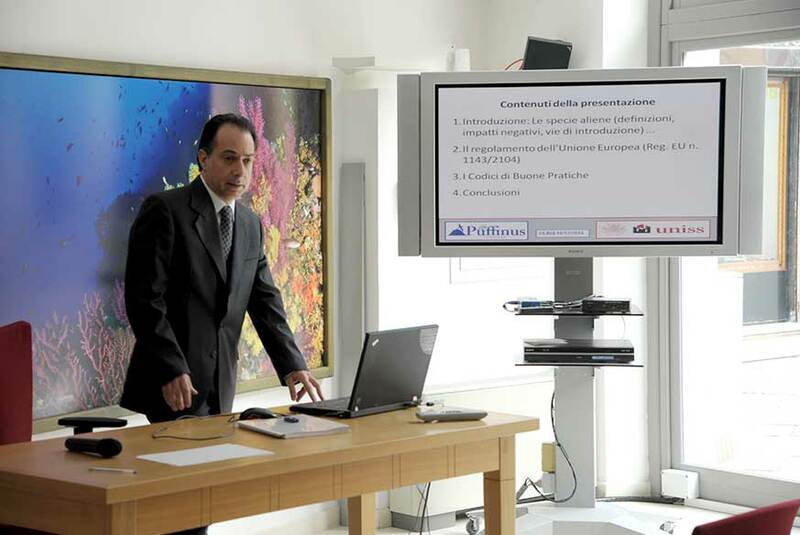 Educational activities targeting tourists on Tavolara proved particularly effective. The questionnaires filled out by the participants both before and after the educational activities showed a marked improvement in personal attitudes towards the protection of natural habitats and the environment. 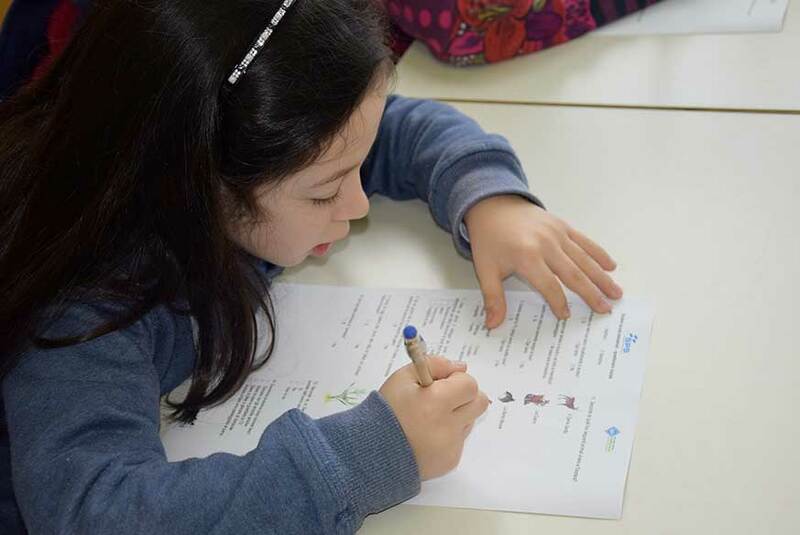 Thanks to the educational activities, 79% of participants felt that their knowledge about biodiversity improved. But the most significant positive outcome regarded a change in attitudes. For example, before the educational activities were carried out, 43% of participants stated that their choices in purchasing ornamental plants would continue to be driven by their personal preferences, regardless of the degree of hazard to the environment. After the educational activities, this percentage fell to 7%. Another aspect that changed radically concerned the participants’ willingness to contribute to environmental protection and enhancement activities. Indeed, before the educational activities were carried out, only 34.7% of participants felt that citizens and tourists should contribute to environmental protection. After the educational activities, this percentage rose to 66%. After the educational activities, 95% of participants were in favour of implementing an information system to help consumers choose ornamental plants and domestic animals on the basis of the degree of hazard they pose to the local environment. Additionally, 91% of participants felt that the educational activities were useful, and were happy with the activities in which they took part, while nearly all participants agreed with the statement that “improving awareness about the natural environment can also improved personal attitudes towards its conservation”. There were also numerous meetings with the local population and seminars for students and professionals (such as the professional orders of agronomists and architects) organized by the project to inform the community on the project’s issues and to promote, through suitable behaviour, the reduction of releases of alien species in the environment and the long-term sustainability of the results achieved. The project was also presented by the partners during a number of conferences and events, using both exhibition stands and presentations, and promoted in the printed media and on television. 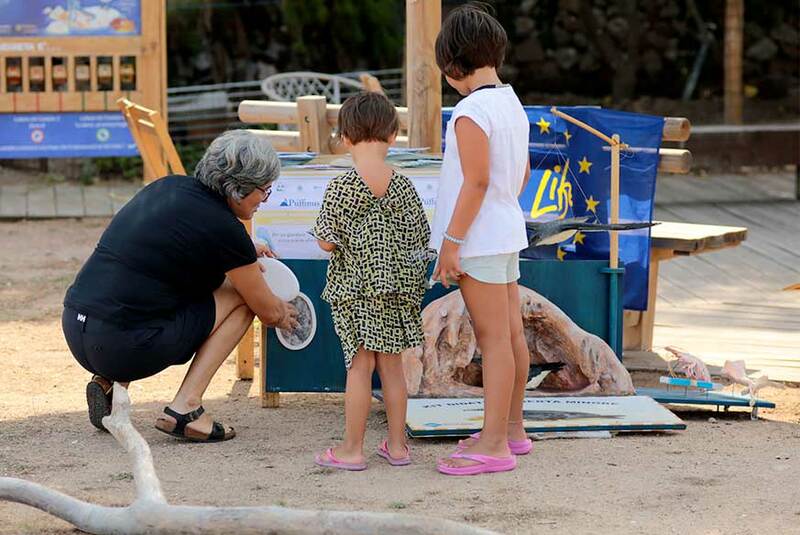 Informational and educational activities were supported through educational material such as information panels placed on the island of Tavolara and on popular tourist beaches (PIttulongu and Le Saline), in addition to brochures available from city hall in Olbia and from the offices of the Marine Protected Area. In application of the principles contained in the Code of Best Practices of the Council of Europe, the project published the brochure “Mediterranean gardens without invasive species”, a booklet providing a wealth of information on how to plant a garden with typical local species while fighting the spread of invasive ornamental species. The booklet was made available at the seasonal information point of the Marine Protected Area, including during days dedicated to raising awareness on the issue.